Woman holding a black iPad tablet computer with a street on the screen. Various digital objects start to appear on the tablet view. Present about gaming, smartphone apps, the viral Pokemon phenomenon. 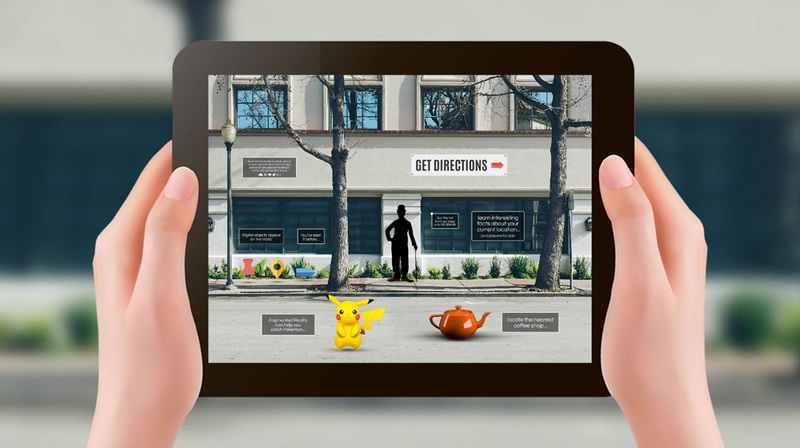 Talk about the future of augmented reality and the benefits it offers today. All separated elements: replace the background with your own, customize the objects and add your own images, that are suitable for the topic. This entry was posted in Best Prezi presentation templates and tagged about, add, all, an, and, app, application, apps, are, augmented, augmented reality, backgound, backgroud, computer, computer generated image, digital, games, gaming presentation, it augmented, pikachu, pokemon, pokemon presentation, prezi template, prezi templates, real-time, smartphone, tablet, technology, virtual, virtual technology.